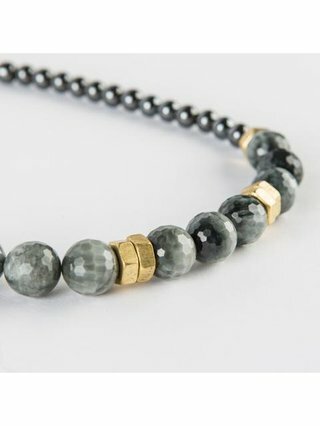 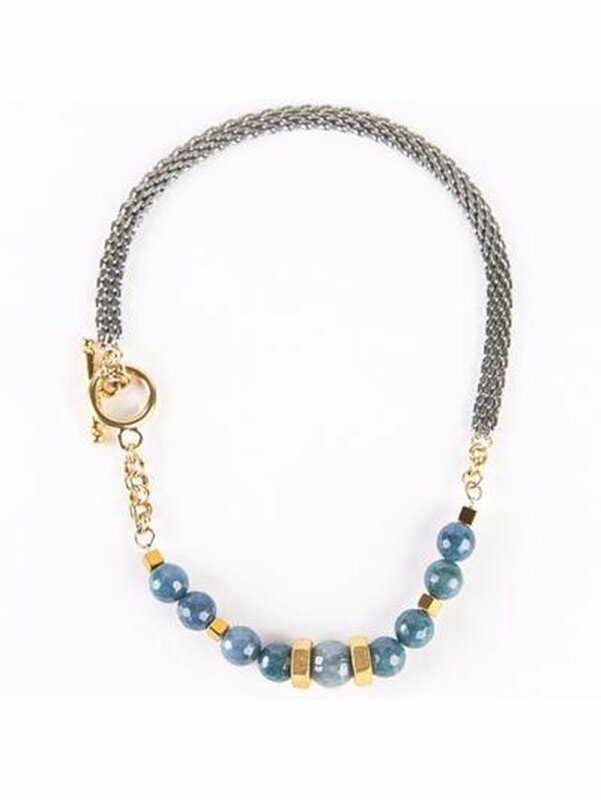 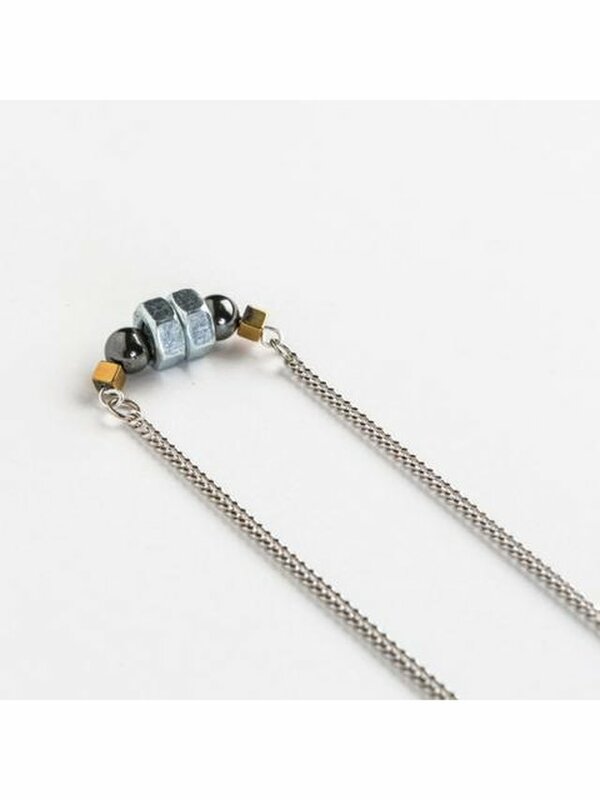 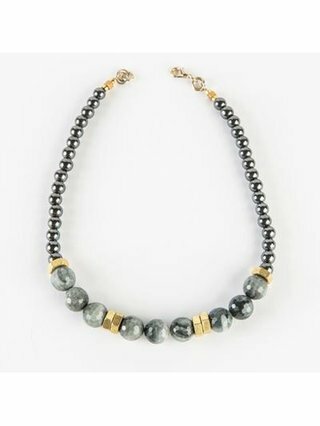 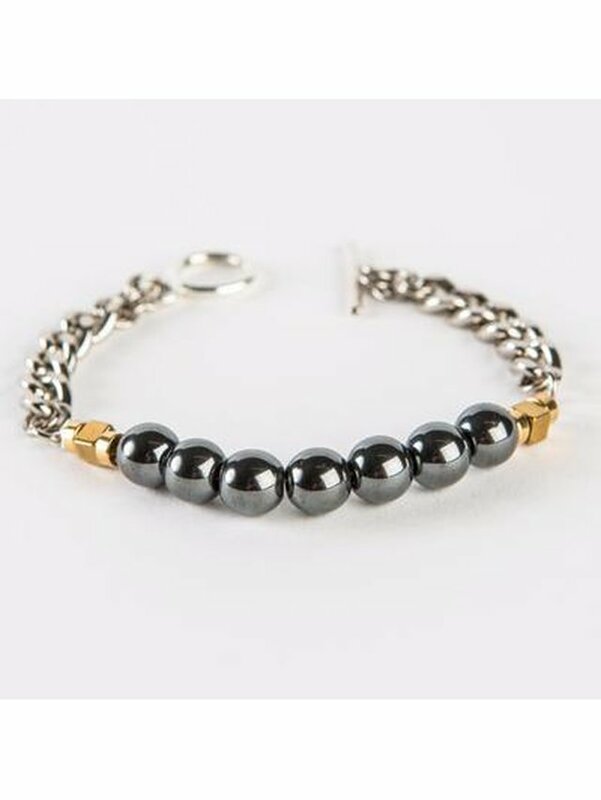 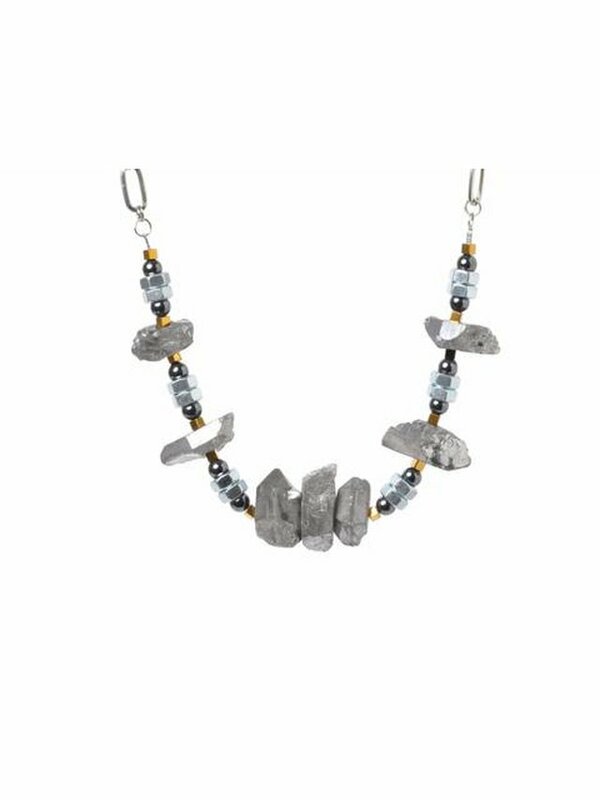 This hematite necklace is outstanding when worn alone but works wonders when layered with gold statement necklaces or dainty chains. 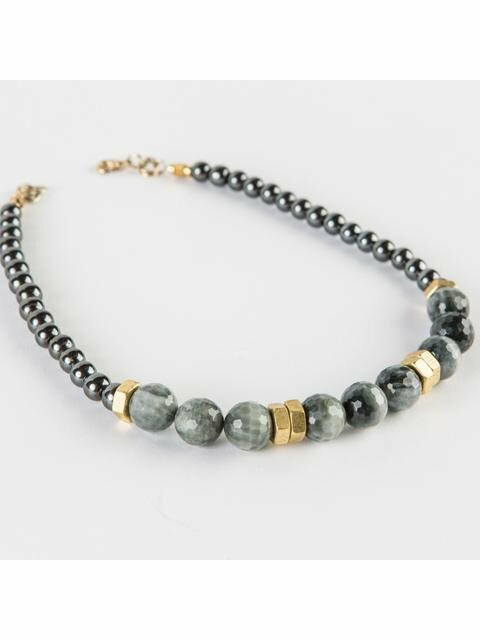 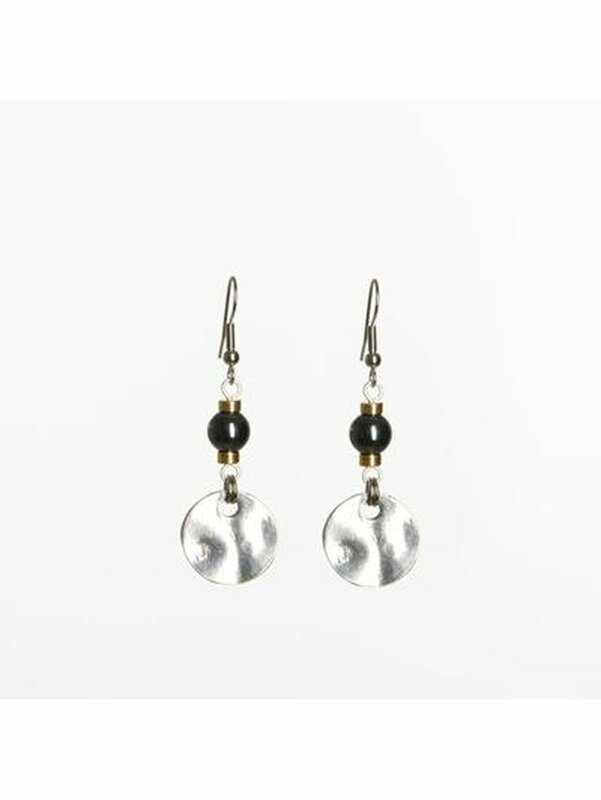 Gold hematite, grey hematite, eagle's eye and brass hex nuts. 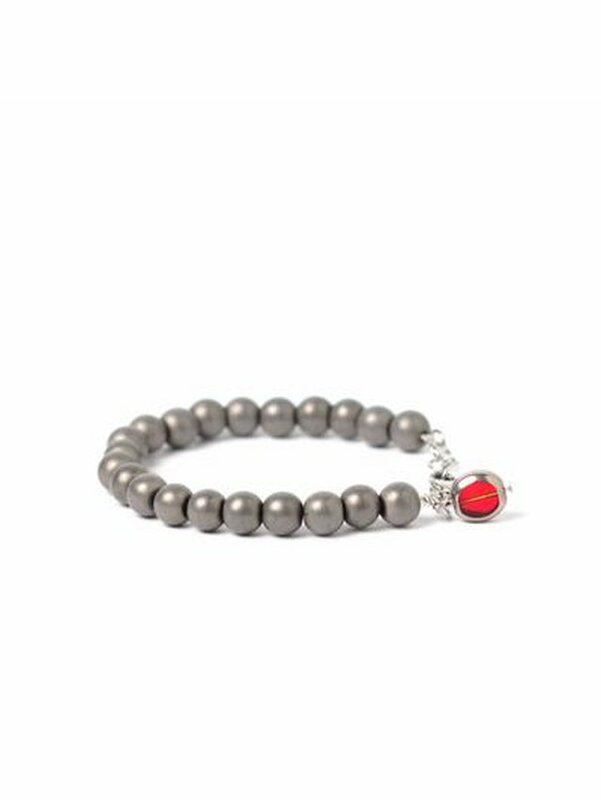 Electra easily takes your from day to night with its muted but eye catching colour scheme.